The information on this page is for existing customers currently running VNC 5.x only. It supplements the key message in this FAQ. If you’re new to RealVNC, and have not used our products before, then all the licensing information you need can be found here. Why should I upgrade to VNC Connect? VNC Connect is version 6+ of our familiar remote access software. But it’s not just an incremental release. It’s a step-change in the way the software works and how you interact with RealVNC. You have the option to establish simple and convenient cloud connections in addition to, or instead of, traditional direct connections to computers running VNC Server in Service Mode. Licensing is controlled by annual subscription rather than perpetual license key. When your subscription expires, cloud connectivity stops. You can manage your entire remote access estate (renewals, payment methods, computers and people) online using your RealVNC account. For a full list of new features and changes, please see the release notes. Is VNC Connect available for the same range of platforms? We’re concentrating on the latest and most popular platforms in order to provide the best possible experience for VNC Connect. You can continue to run VNC 5.x on these platforms. For more information, please consult our platform table. Yes, providing you currently have a valid VNC 5.x license key (that is, you pay for maintenance and receive support and software upgrades). The easiest way to tell is to run the VNC Connect installer on a computer already running VNC 5.x and see whether it works! If the expiry date is after today, you’ll be entitled to upgrade. If not, you’ll have to purchase a new subscription. You can continue to use VNC 5.x for as long as you need; direct connectivity will work in perpetuity. However, you won’t be entitled to receive support or to upgrade to VNC Connect (or any other future product) once your current VNC 5.x license key expires. Why has the licensing model changed from perpetual key to annual subscription? The model has changed to support our move to a Software As A Service (SAAS) provider. Annual subscriptions are very common in the software industry and the new model for VNC Connect is consistent with other vendors. In setting the new pricing, we carefully reviewed the competitive landscape and are very confident that our costs are extremely competitive. I’ve got a VNC 5.x Enterprise license key. What does this mean for me? For a tier corresponding to the number of computers (or ‘desktops’) you originally purchased. Until your current VNC 5.x license key expires. You can now try cloud connectivity (you’ll have to turn this feature on; it’s disabled out-of-the-box). In time, you must renew to retain cloud connectivity. You are entitled to establish direct connections in perpetuity. 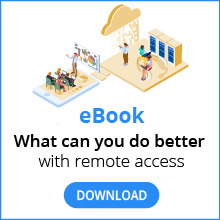 As a valued customer, you can continue to connect direct to your remote computers as you’ve always done. Of course, if you choose not to upgrade, that’s fine too. You can continue to use VNC 5.x as long as you need, although you won’t be entitled to receive support or install future software upgrades. You can rest assured your remote computers will never contact our cloud service. I’ve got a VNC 5.x Personal license key. What does this mean for me? It’s the same as an Enterprise license key. If you’re entitled to upgrade, we’ll convert your existing Personal license key to a new Enterprise subscription. This means you gain features such as 256-bit AES encryption and remote configuration/lock-down using policy. I’ve got a VNC 5.x Free license key. What does this mean for me? There is no upgrade path as such. You can install VNC Connect whenever and wherever you like, but it’s a different product. You can choose to activate a free Home subscription, or to take a 30 day trial of a Professional or Enterprise subscription, when you sign up for a RealVNC account online. Note you shouldn’t run the VNC Connect installer over a remote control session. You will be disconnected and unable to reconnect. You must have desk-side access to install VNC Connect. I run VNC Server in User Mode or in Virtual Mode. What does this mean for me? You cannot establish cloud connections to VNC Server in either User Mode or Virtual Mode. Cloud connectivity is only supported by VNC Server in Service Mode. If you normally run VNC Server in one of these modes, nothing really changes. You can continue to establish direct connections as you’ve always done. What happens when my new Enterprise subscription expires? If you upgrade to VNC Connect, we’ll convert your existing VNC 5.x license key to an Enterprise subscription that will be valid until your original key expires. When that happens, cloud connectivity will stop. To retain it, you must renew your subscription. If you do, please be aware that in future direct connectivity will also be tied to your subscription. You must keep renewing or both cloud connectivity and direct connectivity will stop. If you choose not to renew, you can continue to establish direct connections in perpetuity. However, you won’t be entitled to support or to future software upgrades. If this isn’t clear, please contact Sales when you’re notified that it’s time to renew. Can I change to a different subscription? If you upgrade to VNC Connect, your new Enterprise subscription preserves all the features of VNC 5.x, and adds the option of cloud connectivity. For VNC 5.x Personal license key holders, you gain even more features. When your new Enterprise subscription expires you can choose to take our Professional subscription instead, but note you will lose direct connectivity! Please contact Sales when you’re notified that it’s time to renew. Why has my ‘desktop’ count changed? VNC Connect is licensed by annual subscription, and the price is determined by the number of remote computers you want to control, with big discounts for volume. Remote computers are divided into tiers. To see the available tiers, examine the Number of computers dropdown on this page. If you currently have a VNC 5.x license key for 160 ‘desktops’ (that is, computers to control), you’ll be in the ‘up to 200’ tier. That means you’ll be entitled to install VNC Connect on an additional 40 computers for free until your new Enterprise subscription expires. It depends how you want to roll out VNC Connect. You will need your license key if you want to deploy VNC Server in bulk or remotely, or if remote computers are headless or not connected to the Internet. For simplicity, we’ve made your license key available on the Deployment page of your RealVNC account. Your license key is available on the Deployment page of your RealVNC account. If you have more than one license key, then you might need to switch teams to find the one you’re looking for. We’ve created a team for each subscription in your account, and if you have multiple valid VNC 5.x license keys (for example, one Enterprise license key for 100 desktops, and a separate Enterprise license key for 20 desktops), you’ll have two subscriptions. You can see a picture of the team switcher here. Do I already have a RealVNC account? Yes, providing you are entitled. Your RealVNC account is your hub for remote access. If you intend to try cloud connectivity, your account credentials enable you to sign in to VNC Viewer and to VNC Server. Even if you don’t, you can manage subscriptions, renewals and payment methods much more conveniently online. To activate your account, sign in using the email address we sent your last VNC 5.x license key to. If we don’t seem to recognize you, please contact Support. You can sign up for a new RealVNC account, but we won’t be able to recover your history. VNC Connect is built for sharing, so we use a suitable term - ‘team’ - to denote the set of computers you want to control and all the people you want to share remote access with. In your account, you’ll find one team for each subscription you own. That means that if you currently possess one valid VNC 5.x license key, you’ll have one Enterprise subscription and therefore one team. You can change the name of this team on the General page of your RealVNC account. If you currently have multiple valid VNC 5.x license keys, you’ll have multiple Enterprise subscriptions and therefore multiple teams. You can switch between them using the team picker. Can I delete teams/subscriptions from my account? If you have multiple teams (representing multiple subscriptions), we can rationalize these for you to make your account easier to manage. Sign in to your RealVNC account and navigate to the Profile page. Assuming you’re entitled, simply download VNC Connect to a supported computer and run the installer. If the particular computer is already running VNC 5.x, everything should ‘just work’! If you’re installing on a fresh computer, choose the Enter a license key you possess option from the VNC Server license wizard. Type in your existing VNC 5.x Enterprise or Personal license key and follow the instructions. When it comes to rolling out VNC Connect to your entire estate, use one of our deployment options. If you want to try cloud connectivity, follow these instructions. I want to try cloud connectivity. Where do I start? Cloud connectivity is disabled out-of-the-box, so you don’t have to worry that your remote computers will contact our cloud service until you’ve explicitly decided to do so. Enable cloud connectivity on that computer. Download VNC Viewer to a computer or device you want to control from. Sign in to VNC Viewer using your RealVNC account credentials. You should see the computer appear in your team. Simply tap or click to connect! How do I enable cloud connectivity on a particular computer? If you have desk-side graphical access and it’s convenient to do so, you can open the VNC Server dialog on a remote computer, select Licensing, and follow the instructions. To obtain a cloud connectivity token, sign in to your RealVNC account and navigate to the Deployment page. How do I roll out VNC Connect? If remote computers are connected to the Internet and you have convenient desk-side graphical access, you can sign in to VNC Server at install-time using your RealVNC account credentials. At the same time, you can enable cloud connectivity. Run the command vnclicense -add KEY as a user with administrative privileges. Use one of our remote deployment options. Note if you perform either license key operation then enabling cloud connectivity is a separate step. How do I disable cloud connectivity? Cloud connectivity is disabled for upgraders out-of-the-box; you must explicitly enable it. If you try cloud connectivity but decide you don’t want it anymore, visit the Computers page of your RealVNC account (for each team you own, if more than one) and remove each computer. Computers removed from a team in this way retain direct connectivity but lose cloud. Can I use the latest VNC Viewer to connect to legacy and third party VNC Servers? Yes. VNC Viewer continues to work as it’s always done to establish direct connections to any VNC Server version from RealVNC, or to protocol-compliant projects from third parties. To establish a direct connection, simply enter the IP address or hostname of the computer you want to control in VNC Viewer’s search bar, qualified by a port number if VNC Server is listening on a port other than the default for VNC, 5900. Remember you’ll need to configure intermediate firewalls and routers. More. What happened to VNC Deployment Tool? VNC Deployment Tool is not available for VNC Connect. Please use one of our other deployment options instead. What happened to VNC Viewer for Java? VNC Viewer for Java is not available for VNC Connect. It’s increasingly difficult to run Java applets in modern browsers. We hope to have a better solution soon. For now, if you need to connect from a web browser, please continue to use VNC 5.x. Why do new VNC passwords have to be at least 6 characters? If you’ve configured VNC Server to use the VNC password authentication scheme (system authentication is the default), then passwords must be at least 6 characters. This applies to new computers running VNC Connect. Computers upgraded from VNC 5.x can continue to have shorter VNC passwords, though please note this is not recommended. You can specify any combination of case-sensitive letters, numbers, and special characters such as !,@*#& for a VNC password. Note that only the first 8 characters are significant if you connect from third party VNC-compatible Viewer projects.